The MCOF Public Star Party will be held on Friday December 22, 2006 at 7:00 pm. at the Morgan County Observatory. There will be stargazing, refreshments, movies and hands on astronomy exhibits to entertain folks of all ages. Member's Viewing Night will be December 15, 2006 at 7:00 pm. Prospective members are invited to attend. The MCOF Public Star Party will be held on Friday November 17, 2006 at 7:30 pm. at the Morgan County Observatory. There will be stargazing, refreshments, movies and hands on astronomy exhibits to entertain folks of all ages. Member's Viewing Night will be November 12, 2006 at 7:30 pm. The MCOF Public Star Party will be held on Friday Oct. 20, 2006 at 7:30 pm. at the Morgan County Observatory. There will be stargazing, refreshments, movies and hands on astronomy exhibits to entertain folks of all ages. Member's Viewing Night will be Oct. 13, 2006 at 7:30 pm. The MCOF Public Star Party will be held on Friday Sept. 22, 2006 at 8:00 pm. at the Morgan County Observatory. There will be stargazing, refreshments, movies and hands on astronomy exhibits to entertain folks of all ages. Member's Viewing Night will be Sept. 15, 2006 at 8:00 pm. The MCOF Public Star Party will be held on Friday July 28, 2006 at 8:30 pm. at the Morgan County Observatory. There will be stargazing, refreshments, movies and hands on astronomy exhibits to entertain folks of all ages. Member's Viewing Night will be July 21, 2006 at 8:30 pm. Shenandoah Astronomical Society Saturday, July 22nd public observing session at Andy Guest State Park. Novac - Northern Virginia Astronomy Club Observing public event at Crockett Park on Aug 19th. Cumberland Astronomy Club of Cumberland, MD Astronomy Day public event at FSU Planetarium on May 6th. The MCOF Public Star Party will be held on Friday June 23, 2006 at 8:30 pm. at the Morgan County Observatory. There will be stargazing, refreshments, movies and hands on astronomy exhibits to entertain folks of all ages. Member's Viewing Night will be June 16, 2006 at 8:30 pm. Shenandoah Astronomical Society Saturday, June 24th public observing session at Andy Guest State Park. 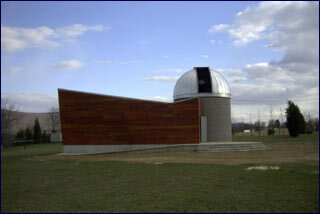 Novac - Northern Virginia Astronomy Club Observing public event at Crockett Park on June 6th. Public Star Party at Observatory Friday May 26, 2006 at 8:30 pm. 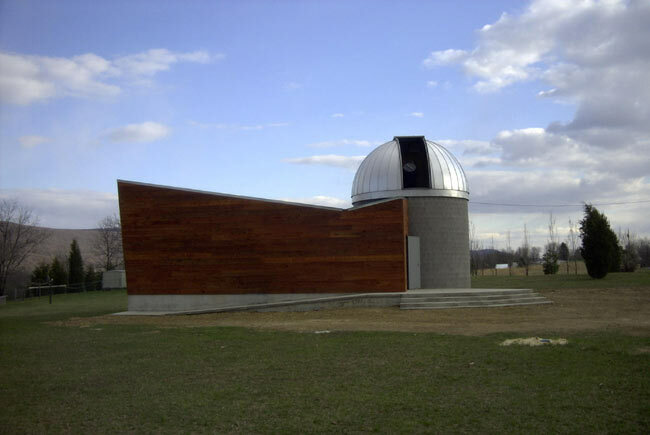 MCOF will hold a public Star Party Friday evening May, 2006 at 8:30 PM, on the observatory grounds at Greenwood Elementary School. Saturn will be overhead. Constellation Leo will be overhead. Everyone is invited to come out and view the wonders of the night sky through the many wonderful telescopes available with the experts from the Foundation to guide you. If you have a telescope or binoculars, you may bring it and get help on using it to view the heavens. Refreshments will be served. Member benefits include: quarterly newsletter, yearly calendar, voting rights at MCOF general meeting, admission to 'Members Only' events and notification of all events. All donations of $50 or more will be memorialized on Founding Members' plaques to be displayed inside the Observatory. The next 'Members Only' night will be held Friday March 24, 2006 at 7:30 PM at the observatory. If you are not a member, you may obtain membership there for $20/individual or $35/family. Public Star Party at Observatory Friday April 21, 2006 at 8:00 pm, Saturday April 22 at 8:00 pm and Friday April 28, 2006 at 8:30 pm. MCOF will hold a public Star Party Friday evening April 21, 2006 at 8:00 PM, Saturday April 22 at 8:00 pm and Friday April 28, 2006 at 8:30 pm. on the observatory grounds at Greenwood Elementary School. Saturn will be overhead. Constellation Leo will be overhead. Everyone is invited to come out and view the wonders of the night sky through the many wonderful telescopes available with the experts from the Foundation to guide you. If you have a telescope or binoculars, you may bring it and get help on using it to view the heavens. Refreshments will be served. The MCOF Public Star Party will be held on Friday March 31, 2006 at 7:30 pm. at the Morgan County Observatory. There will be stargazing, refreshments, movies and hands on astronomy exhibits to entertain folks of all ages. Member's Viewing Night will be March 24, 2006 at 7:30 pm. Shenandoah Astronomical Society Friday March 24 - Messier Marathon at Historic Long Branch, Millwood, Va.
MCOF will hold a public Star Party Friday evening March 3, 2006 at 7:30 PM on the observatory grounds at Greenwood Elementary School. Planet Mars will be in the west. Saturn will be visible. Orion will be overhead Everyone is invited to come out and view the wonders of the night sky through the many wonderful telescopes available with the experts from the Foundation to guide you. If you have a telescope or binoculars, you may bring it and get help on using it to view the heavens. Refreshments will be served. Member benefits include: quarterly newsletter, yearly calendar, voting rights at MCOF general meeting, admission to 'Members Only' events and notification of all events. All donations of $50 or more will be memorialized on Founding Members' plaques to be displayed inside the Observatory. The next 'Members Only' night will be held Friday February 24, 2006 at 7:30 PM at the observatory. If you are not a member, you may obtain membership there for $20/individual or $35/family. MCOF will hold a public Star Party Friday evening January 27, 2006 at 7:30 PM on the observatory grounds at Greenwood Elementary School. Planet Mars will be overhead. Jupiter and Saturn will be visible. Everyone is invited to come out and view the wonders of the night sky through the many wonderful telescopes available with the experts from the Foundation to guide you. If you have a telescope or binoculars, you may bring it and get help on using it to view the heavens. Refreshments will be served. Member benefits include: quarterly newsletter, yearly calendar, voting rights at MCOF general meeting, admission to 'Members Only' events and notification of all events. All donations of $50 or more will be memorialized on Founding Members' plaques to be displayed inside the Observatory. The next 'Members Only' night will be held Friday January 20, 2006 at 7:30 PM at the observatory. If you are not a member, you may obtain membership there for $20/individual or $35/family.